Employee attrition means the loss of employees either through voluntary retirement, resignation, or when the company itself decides to cross cut. Losing employees every now and then is a normal part of the company’s life cycle. You cannot really force people to keep working in the company if they want to pursue other opportunities. However, a high turnover rate is not good either. When your employees leave just after a year or less after getting hired – then something is not right. Your company is not simply losing good talent, but is also wasting money and resources as well. Hiring and training employees require time and resources. And if they don’t stay long enough, then that investment simply goes down the drain. There are additional expenses for the separation pay and temporary contractor costs that add up to your business expenses. This has always been a major issue for any employee – the salary. If your competitors are offering better rates, then your employees would most likely be inclined to go after it. You’ll lose good talent, and waste resources on training and molding them. Aside from the salary, employees are also after benefits. This includes dental and health insurances, tuition assistance (for those who have kids), longer maternity/paternity leaves, work flexibility (allowing them to work from home), stock options, gym memberships, and even childcare services. These perks make your employees lives more comfortable, and it can allow them to save money (especially for health-related concerns), have more family time, and basically have a good work-life balance. With such perks, mood and contentment in the company will go up and thoughts of leaving will be less likely entertained. 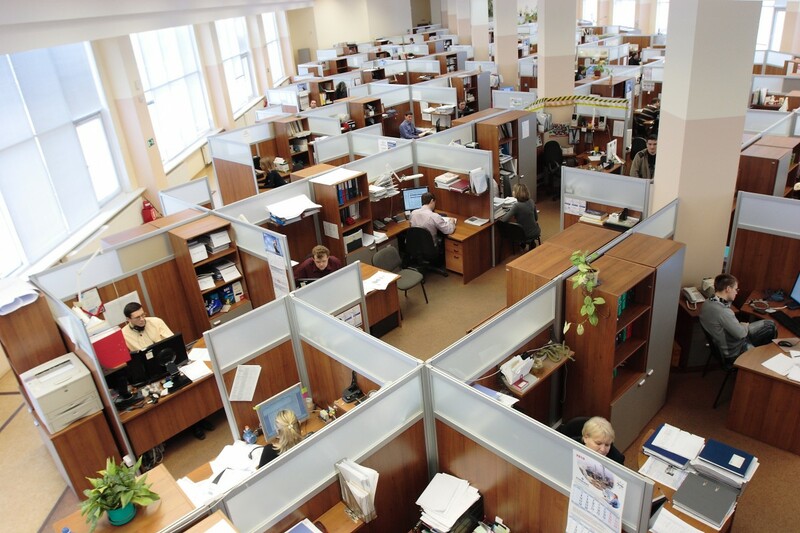 The office space itself can also affect your employee’s mood and productivity. Cubicles and drab hallways could be uninspiring (especially for employees who are tasked to do creative works), and lack of proper equipment can further hinder productivity. You have to give your employees some space to unwind and chill, or get inspiration from. Offer a different view, or some refreshments (such as juices, coffee and biscuits). If it is not possible, allow them to work remotely from cafes or nearby coworking spaces. You have to make sure that your employees are comfortable when they are at the office, and that they can process anything they need to get the job done fast. This includes providing them with a decent PC/laptops (especially if you have web developers and designers on the team), printers (including their inks and toners), sticky notes and all other kinds of stationery. Improve company structure and organization. Lack of structure and organization in the company can cause a lot of confusion, and this can take a toll on your employees. When tasks and job positions are not clear, disagreements and tensions can arise on just about any project – this can cause stress and frustration. If this continues, you’ll be losing your best people in no time. For some employees, it is enough that they feel that they are truly part of a family within the company. Team buildings, outings and parties can strengthen not just employee to employee relationships, but employer to employee relationships as well. Recognizing their hard work (through employee of the year awards and other incentives) can also boost their spirits. This also improves their relationship and loyalty to the company itself. Aside from that, giving honest feedback and listening to their concerns are also great ways to improve overall employee engagement. It tells them that the company actually cares about their growth, and that they have plenty of chances to improve on their skill sets. Make your vision and direction clear. Another way to boost loyalty among employees is to communicate the company’s mission and vision clearly. If they know the driving force behind the business, it gives them the inspiration to move and work better for the company – having the same mission and goals in sight. There should be a shared vision that can inspire them to be focused and committed to the company. Although you may not completely stop your employees from quitting and walking out the door, the best thing you can do is to just minimize this from happening. This is why you should know what could possibly motivate them, and how the company can be more helpful in their lives.